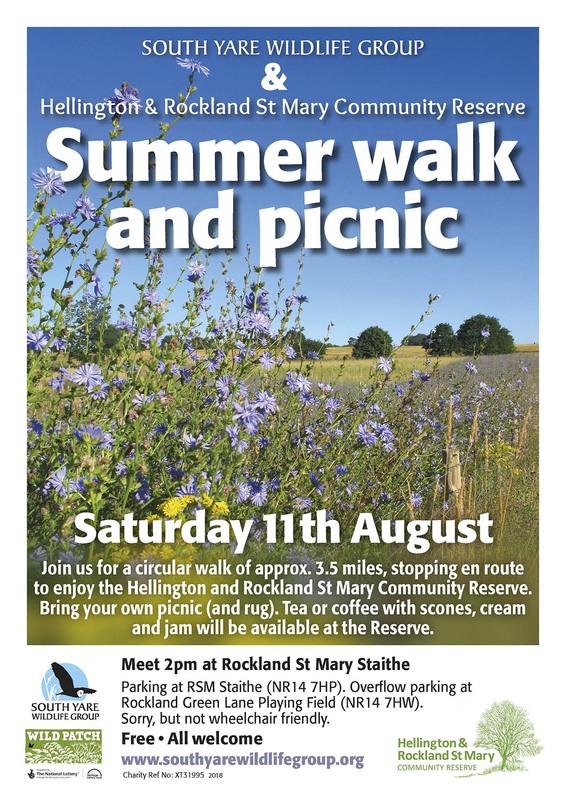 Join us for a circular walk of approx 3.5 miles, stopping en route to enjoy the Hellington and Rockland St Mary community reserve. Bring your own picnic and rug. Tea or coffee with scones, cream and jam will be available at the reserve. Meet 2pm at Rockland St Mary Staithe (NR14 7HP) – parking available at the state or overflow at Rockland Green Lane Playing Field (NR14 7HW).